Being able to reliably make a fire is vital for cooking, generating warmth, and making fire signals in survival situations. 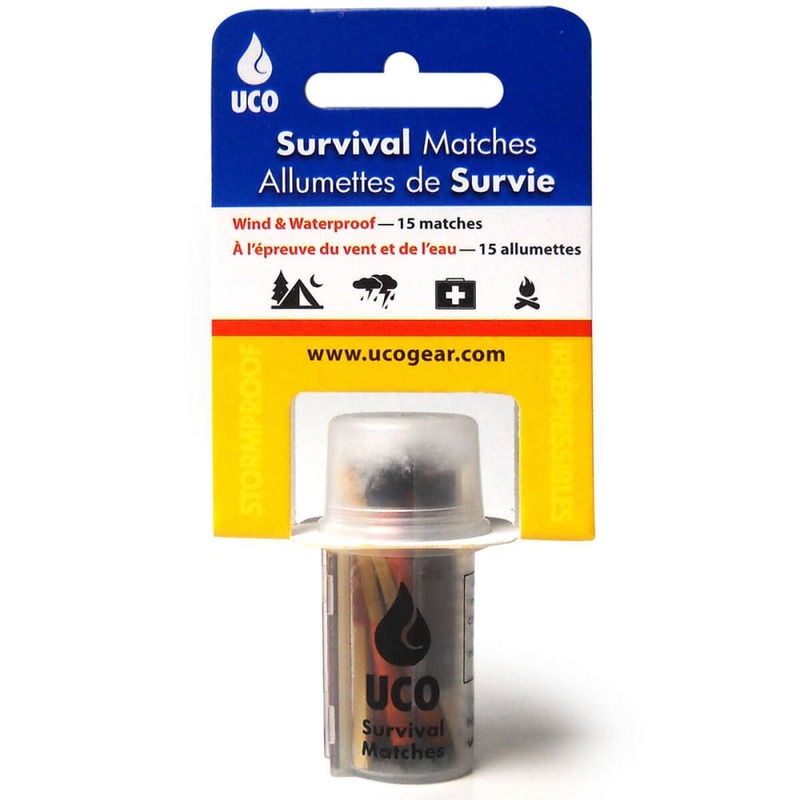 The super-compact UCO Survival Match Kit is perfect for camping and essential for emergency kits. Matches are easy to light and will even relight after being submerged in water! Lights campfires, stoves, gas barbecues, etc.